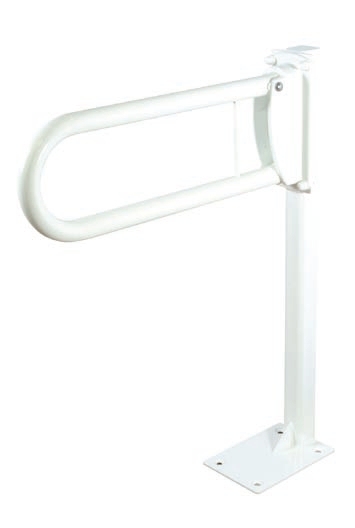 A robust range of powder coated steel hinged support rails that drop down into place or fold away when not required. Typically used by the WC these support rails are also invaluable as supports around the bath, shower and cloakroom. 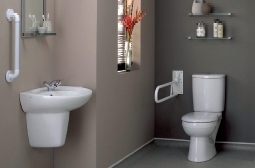 Without going to the expense of a full Document M kit (Doc M Pack as specified by Building Regulations) you can select the most appropriate support rail for your personal, domestic or commercial needs. 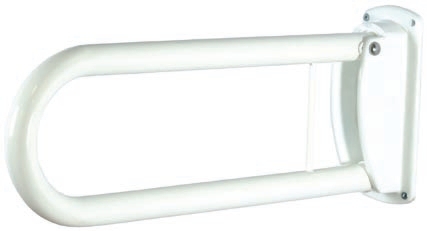 Unlike fixed rails, a hinged (or drop down) rail can fold back to the wall unobtrusively after use - an invaluable feature in a domestic environment or where space is limited. Where the integrity of wall fixing is questionable there is a floor mounting post option which will support your choice of hinged rail. 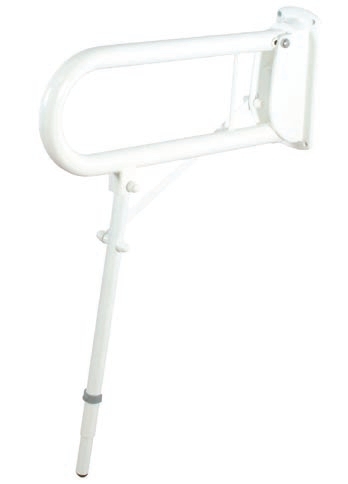 Please note: Picture shows hinged rail attached to DR3 Floor Mounted Post for the purpose of illustration only. 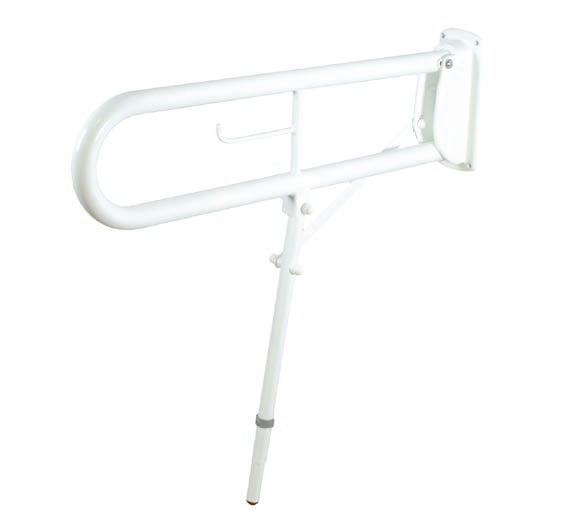 A hinged/drop down rail is NOT included with the purchase of this item and must be bought separately.